Jimmy Kimmel recently wrote a column for the Hollywood Reporter explaining why Howard Stern is New York’s most powerful man. At 6-foot-12 and 104 pounds, Stern is the most powerful man in New York. 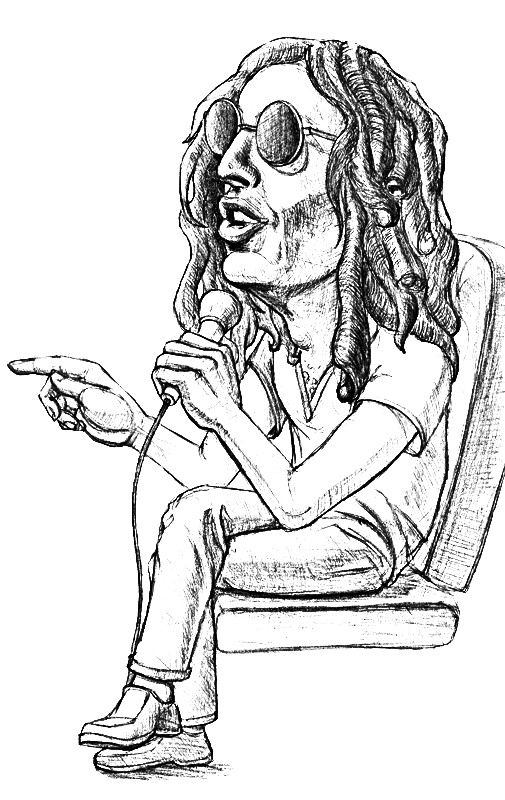 In a city bursting at the streams with podcasts and pundits, Maddows and Mirandas, Stewarts and Stephanopouli, Howard is lord of an extraterrestrial radio oasis, an FCC-free forum on which major celebrities and slow adults (some are both) are given equal time and consideration. The scope of the show is staggering. An hour in-studio with Paul McCartney might be (and was) followed by an hourlong phone call with “Jeff the Drunk” — a dead-armed alcoholic calling from a trailer in upstate New York. Howard is probably most famous for his early work popularizing lesbianism and repurposing butts as bongos, but those who followed him to satellite radio know he is far more than just a “shock jock.” He is the rare broadcaster with integrity. Howard’s rules will not bend just to get a booking. When you sit on his couch, you know that no subject is off-limits. The foundation that has been laid by years of refusing to compromise is strong, and as a result, Howard’s interviews with movie stars, comedians, musicians, and politicians go deeper and further than any in broadcasting. Guests are determined to impress him. The A-listers who once “ran for zee hills” now line up to be examined and blessed. No less than a future president of the United States (out of respect for the office, I won’t say which) once rated women on a scale of one to 10 just to ingratiate himself with the King of All Media. I’ve heard Howard’s voice more than that of any other human being, my mother’s included. I’m not alone. After a visit to The Howard Stern Show, the feedback I get is immediate and intense. Seemingly normal men and women reveal themselves to be otherwise by shouting, “Great job on Howard!” and “I love you on Stern!” No compliment tickles me more. 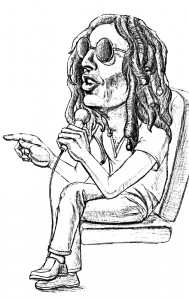 When Howard announced his move to Sirius in 2006, the company had 600,000 subscribers. Eleven years later, that number has increased 50-fold. SiriusXM has more than 31 million paying customers — and Howard’s listeners are not passive fans. This is a show that compels men who sell medical equipment to scream “Baba!” and “Booey!” at golf tournaments. My neighbor had twin boys last week and implored his wife to name them Sal and Richard, after two maniacs on Howard’s staff. Is that enough power for you? If not, know that Howard named not one but two channels after himself. Howard 100 and Howard 101 run nothing but Howard, Howard and more Howard 24 hours a day in a show of audacity and force rivaled only by Kim Jong-un. From this day forth, let New Yorkers from here and far join in worship and praise for our Dear Leader, Howard Stern.